﻿ Coral Cliff Beach Resort Samui, Koh Samui | FROM $52 - SAVE ON AGODA! "I booked a bungalow with bathtub and got very nice seaview." 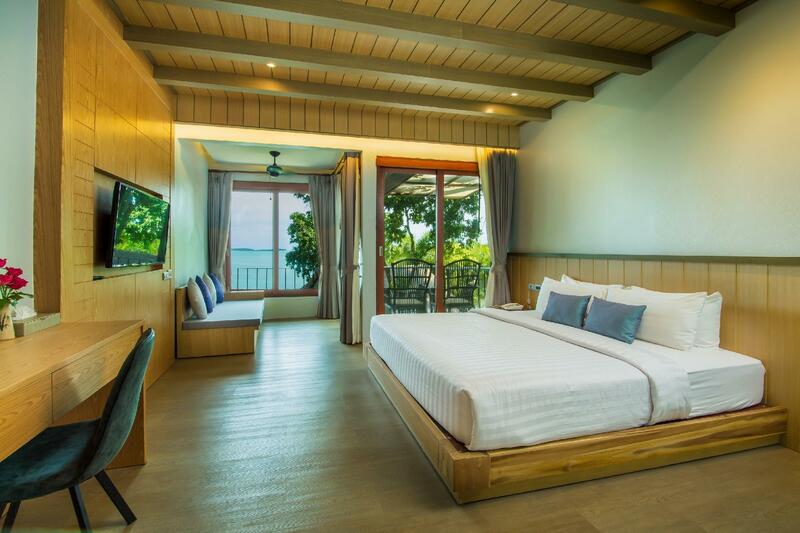 Have a question for Coral Cliff Beach Resort Samui? "The beach is small but we had a bungalow with great ocean views with the beach right in front of us." "In a lovely spot with well maintained grounds"
"Nice and quiet and easy to look at hotel." 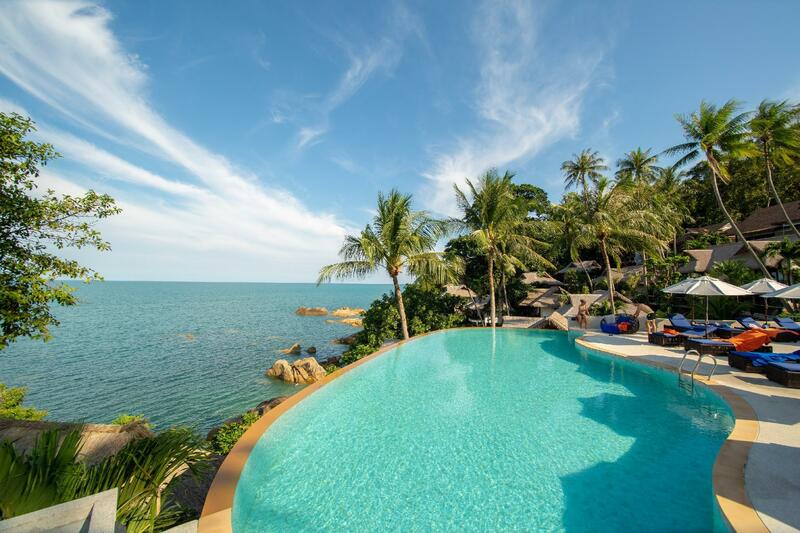 Coral Cliff Beach Resort Samui is set in an exclusive cove framed by landscaped coconut groves. The restaurant serves classic Thai, Chinese, and European cuisine. 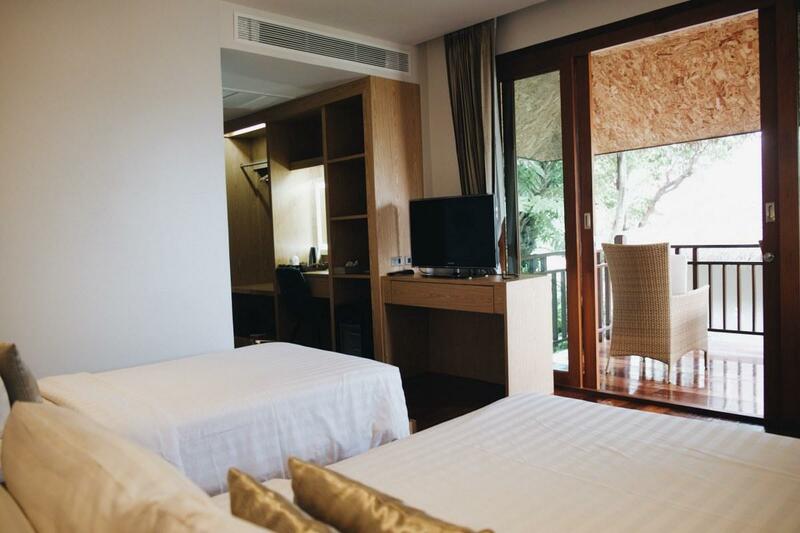 Rooms are decorated in a traditional southern Thai style and have a wide balcony view of the ocean. 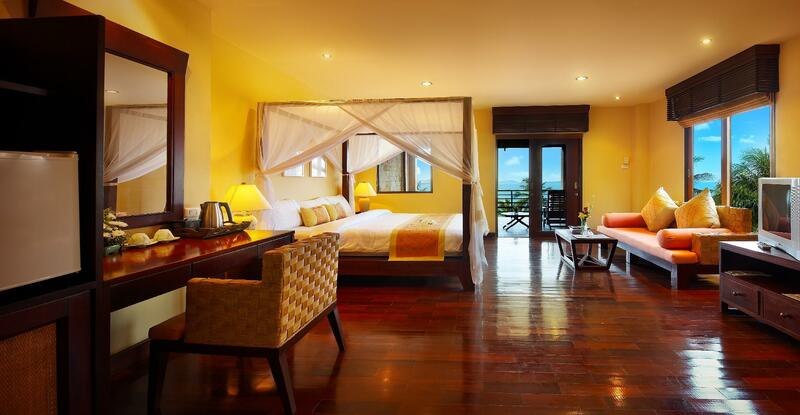 Guests can enjoy a swim in the pool or snorkeling and scuba diving around the nearby coral reefs. 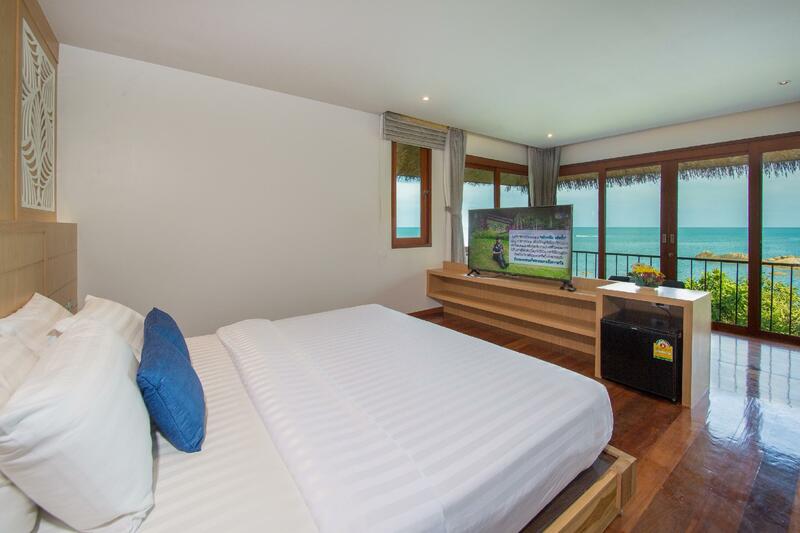 This is one of the most charming and desirable locations to stay on the beautiful island of Samui. For your reservation at Coral Cliff Beach Resort Samui, please select the dates of your stay and complete our secure online booking form. 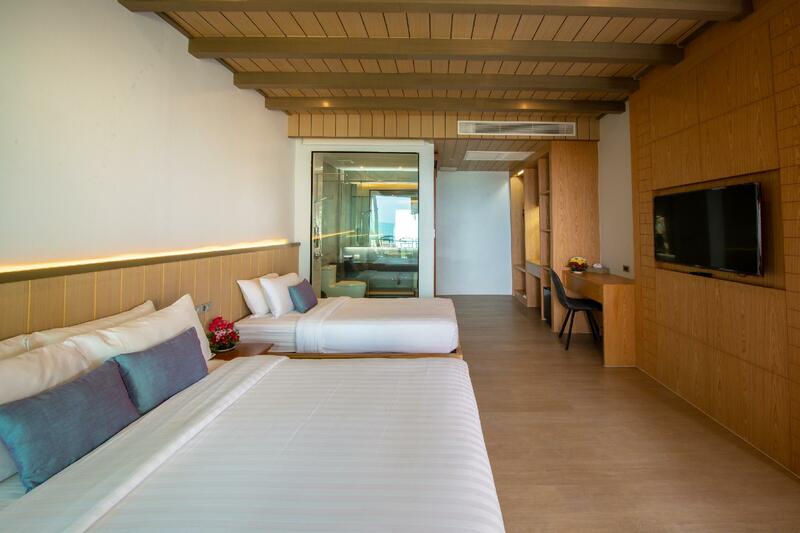 "We like authentic Thai food and they still have a great chef..."
Children 4-11 years old will be charged THB 350 per child per night when using existing bedding (breakfast included). We have stayed here a number of times and one of the memorable things was their excellent Thai cooking. We like authentic Thai food and they still have a great chef in the kitchen. Staff are friendly. The beach is small but we had a bungalow with great ocean views with the beach right in front of us. Best pina coladas we have had. Wifi was spotty which was inconvenient for my partner who needs it for work. In a lovely spot with well maintained grounds.Beach not really swimmable, but Lamai not far away. Staff really good, bike rental easy, buffet breakfast not too bad, the salads very fresh. Only downside was the pool chemistry.. Hurts your eyes so can't really go under.. A common fault in Thai resorts. And the water a little cloudy, although it was improving. Next time I'll book at Lamai as that's where we spent most of our time anyway. Nice and quiet and easy to look at hotel. I have travelled ro Samui many times. We were not happy here. On arrival check in staff were not very nice. They also charge 50baht more than most on scooter hire. Rooms are old worn, shower is cold, no pressure. Our aircon barely worked. Sand on the beach hurts your feet. The good things are the view and the breakfast staff were nice. Needs an upgrade. Over priced. The resort is looking a bit old, not so well maintained, however, inside thew bungalow it was okay, poolside area as well. All is clean and the service staff in the restaurant is perfect, far above average. the beach looked beautiful from the hotel. it was actually pretty dirty when we walked to it. they had a nice pool. it was a quite area. the room was nice and clean. they had hot water which was wonderful. the bed was really comfortable. it felt safe. the breakfast was good, the prawns at dinner were the best i've ever had, but all the other food at dinner was pretty bad. The views , pool and setting . This resort is located halfway between the 2 main beaches it pays to have a scooter here. The beach and pool setting is 10 out of 10 , pool bar is cool just closes a little early the resort staff were friendly and most spoke good english .Buffet breakfast was good . Quiet location and would be child friendly ( we were lucky enough to leave ours at home ), would recomend to anyone . the only negative comment about our stay was the check in and check out process the 3 woman at the front dest were very unfriendly and unwelcoming which was so out of character for every other aspect of our stay Lovely rooms and great acess to 2 private beaches. The restaurant staff were the loveliest group of people u could ever hope to meet. lots of space, two pools, right on the beach, this was a nice hotel and a great price. a couple small complaints were the ac took a while to get going, but once it did, it was comfortable. the food was awesome, but the restaurant was empty and took a really long time to make. we mentioned it to the staff. i felt the food made up for the slow dining service though. also, almost everything is outside, the dining room, bar, even hotel hallways and lobby. since it was right on the beach, there were mosquitos biting us like crazy at dinner and checking in, but nothing a little big spray won't fix. other than that, pretty awesome hotel, i would stay again. Brought my mother to Thailand for the first time, Coral CoveChalet was the perfect place. We were only 10 minutes from Lamai and Chaweng, it was so peaceful and beautiful and the private beaches were lovely. The staff were exceptionally nice and we ate in the restaurant a few nights and the food was delicious. I don't have any comploants and would definitely return. Quite and away from the smells and noises of Chaweng. 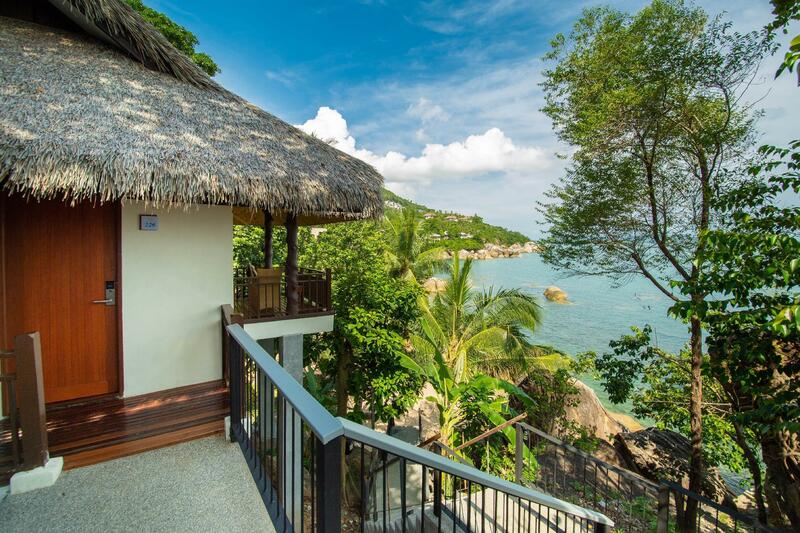 Snorkling on your door step, private beaches and a very central location. Our 2nd time to Samuiand would definitely go back and stay at Coral Cove Chalets, best location in my opinion. Quieter than Chaweng and not overcrowded. Chaweng is full of Jet Skis and boats etc, where as the private beaches at Coral Cove are quiet and clean with good snorkeling and more features. Very close to the Cliff restaurant and a few others which are really good. Don't expect 5 star rooms, but comfortable enough for a beach holiday for a week or two. Quiet,great location,very friendly staff,good price. We found this resort to be great..Prices were great..!! The Deluxe Bungalow in Thai style we stayed in was perfect,large-rooms,very clean with soft linen and comfortable beds,clean and fresh modern bathroom and close to beach but away from the road which was noisey.. We didnt get any road noise were we were though..!! Air-conditioning worked well and the place was very well maintained. The food was wonderfull a little expensive but when you eat lovely fresh sea-food every meal then who can complain?? Hotel is 1/2 to 3/4 hour from airport, take the van taxi for 200 baht... The hotel is also a couple of miles from the village but the good thing is they rent what appears to be hotel staff motor bikes for a reasonable price..Try and get a good bike.. they prefer and tell you the good ones are rented out but when you return, they are still there..The next day I suggested to them that I was going up the hill to rent eslewhere... I got a better bike then of my choice and kept it for the whole stay there... Breakfast is somewhat better then OK!.. limited choices but good.. Evening reception staff very friendly, day time older staff, "not so much"...maybe because of the bike problem?.. Good views of the sea from everywhere.. beaches clean, poor snorkling even with bannanas to feed the fish...fish were very small. Returning to the airport?, baht per person... Overall I believe,'a good value' and would stay there again..
pool, clean, friendly staff, actually pretty quiet! I've been trying out hotels in the koh san rd area for almost 10yrs and this is by far the best i've been in for cleanliness, comfort and proximity. Definitely coming back to this one! It's worth the extra baht. I loved this hotel, even though it was out of town it was a great place to stay as it was quiet at night and relaxing during the day without all the noise and dirtyness from the main town. We really enjoyed our time here by the pool and on the private beach. Highly recommend this hotel. 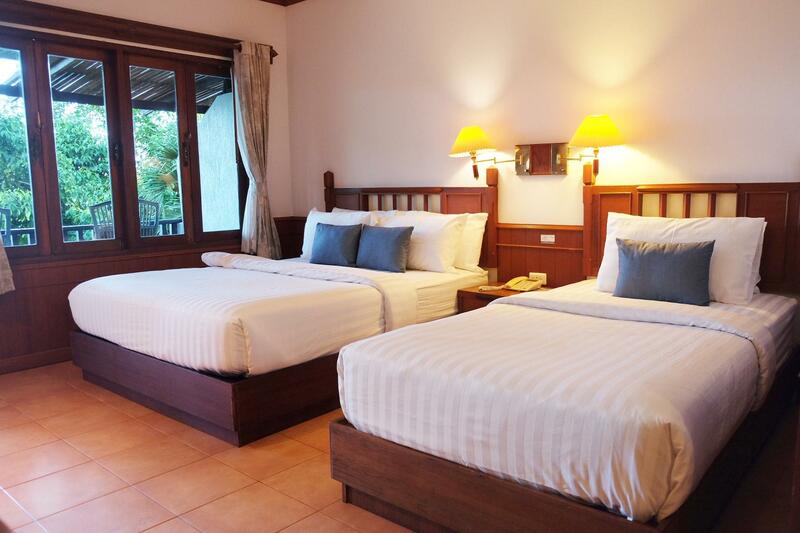 the hotel is good, good food, large rooms , comfy bed, nice swimming pool, the restaurant not too expensive, hotel is not far from chaweng but you will need a motorbike or taxi for everything because the hotel is situated on top of the hill.